The value of U.S. property exposed to wildfires is the subject of the latest report from modeling, data and analytics firm CoreLogic. The CoreLogic Wildfire Hazard Risk Report identifies more than 740,000 residences across 13 western U.S. states which CoreLogic says are currently at high or very high risk of wildfire damage. CoreLogic says that this represents a massive $136 billion of total property value at risk, underscoring the important role re/insurance and risk transfer has to play. Of the 740,000 exposed homes and $136 billion of property value at risk, 168,000 fall into the Very High Risk category in the report. Those homes which are at the highest risk of damage from wildfires have a projected aggregate value of $32 billion according to CoreLogic. The report was developed to provide the insurance industry, financial services companies, homeowners and others impacted by wildfire outbreaks with a better understanding of wildfire risk in the U.S. In addition to identifying and providing a property-level risk rating for the total number and value of homes exposed to wildfires, the CoreLogic analysis also assigns a comprehensive numeric risk score ranging from 1-100. The score indicates the level of susceptibility to wildfire that accounts for risk not only within the property itself, but also considers the risk located in close proximity but outside the property boundary. When expanding the view of risk to include the surrounding area, more than 900,000 homes can be assigned the highest Wildfire Risk Score (81-100), representing a combined potential property value of more than $161 billion. 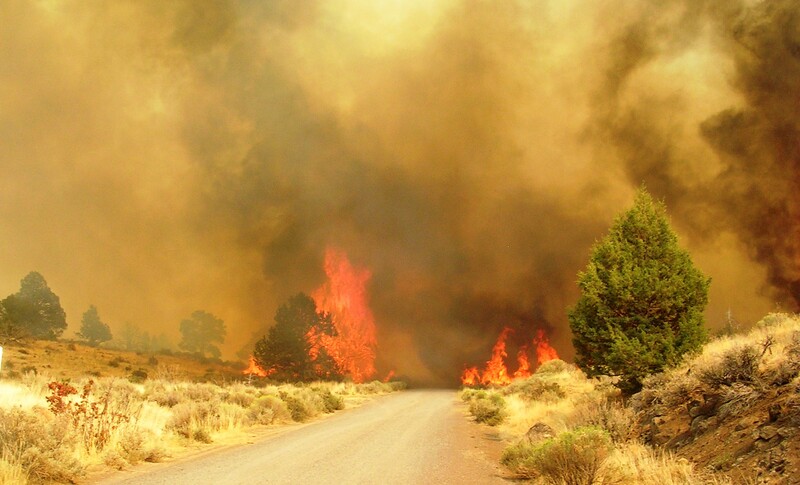 The report from CoreLogic only looks at wildfire risk in the most exposed western U.S. states, including; Arizona, California, Colorado, Idaho, Montana, Nevada, New Mexico, Oklahoma, Oregon, Texas, Utah, Wyoming and Washington. The report also examines the risk in six of the most exposed cities; Los Angeles, Calif; San Diego, Calif; Boulder, Colo; Austin, Texas; Albuquerque, N.M. and Salt Lake City, Utah, and the top ZIP Codes at risk within each exposed metro area. The states most commonly associated with wildfires do contain the most properties at risk – California, Colorado and Texas contain the largest number of properties categorized as Very High Risk, with a combined property value exceeding $20 billion. Adding the homes located in the High Risk category increases the total property value at risk to more than $62 billion. California contains a total of 49,258 homes at Very High Risk, with another 48,901 and 28,490 in Colorado and Texas, respectively. Of the six cities analyzed in the report, Los Angeles is home to the most single-family residences exposed to wildfire risk, with more than 29,000 properties in the High or Very High Risk categories. The total value of the homes in those two categories is estimated to be nearly $10 billion, with Malibu at the top of the list of ZIP Code areas with more than $900 million in potential residential property exposure to wildfire risk. Interestingly, the report suggests that planning laws may need to take into account the risk of wildfire as between the years of 1990 to 2008, there were close to 17 million new homes built in the U.S., of which 10 million (58%) were potentially located near high wildfire risk zones. Of course this is due to a lack of available land for building residences which are not in a wildfire risk zone and underscores just how widespread this issue is. You can download the full report from the CoreLogic website. These numbers are large and show the potential exposure the insurance industry could face if a major wildfire season hit major metro areas. Perhaps worring for re/insurers will be the fact that these numbers and the value of property at risk are only for residential homes and don’t include commercial properties, factories and businesses. Adding commercial property to this could increase the potential exposed value at risk significantly. It is no surprise that the catastrophe bond market is seen as an appropriate place for some wildfire risk to be offloaded by insurers. However the majority of cat bond transactions exposed to wildfire come from a single sponsor, USAA with their Residential Re series of deals. One other cat bond which contains wildfire exposure was State Farms privately placed Merna Re III. All of the Residential Re cat bonds and Merna Re III use indemnity triggers, as yet we haven’t seen a record of an industry-loss triggered wildfire cat bond. Perhaps uncertainty over claims assessment is a contributing factor to the lack of wildfire cat bond issuance by other sponsoring primary insurers? Given the potential insurance and reinsurance industry exposure to wildfire it stands to reason that the peril will continue to feature in the catastrophe bond market in years to come. You can see which cat bonds contain wildfire risk in our Deal Directory. This entry was posted in Uncategorized by Protect Mustangs. Bookmark the permalink.